Gearbox CEO Randy Pitchford is sceptical about launching Borderlands 3 on Steam. Before Borderlands 3 was officially revealed, there were rumours that the game would launch exclusively on the Epic Games Store. 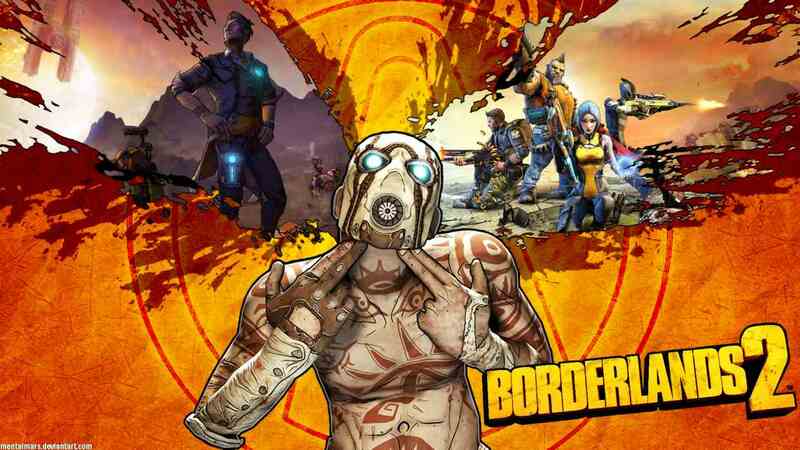 This turned out to be true and as with all things on the Internet, irate gamers have irrationally decided to review bomb older Borderlands games. Review bombing is where users 'bombard' an older game with negative reviews because they don't like something that's happening with the new game or, say, the game's developer. This results in the game receiving an unusually low rating. Epic Games, in particular, is facing a lot of heat for what gamers are perceiving us 'unfair' activity on their part. Epic Games, the creators of Fortnite, have been dangling the proverbial carrot (more revenue, etc.) in form of game developers and enticing them to come to the Epic Games store. While this might seem like 'healthy competition', the manner in which Epic is acquiring these deals is what is infuriating a relatively small but very vocal minority of gamers. 2K, the publisher for the Borderlands franchise, released the PC version as a timed exclusive on the Epic Games Store until April 2020, following which the game will be released on other PC platforms. With the recent surge in the negative reviews on Steam, Valve stepped in to flag them off using its new ‘off-topic review activity’ tool on the older Borderlands 2. This tool essentially isolates review bombing activity from older, more legitimate reviews. Steam users will still have the option of seeing the recent review activity if they choose to, though. Review bombing has been often used as a means of protest by gamers on Steam to send a message to the developers and publishers about their disagreement on certain decisions made by the companies. They band together and rate current or older games with negative comments so that the overall score is lowered. It’s obviously doesn’t make sense to rate older titles from the publisher or developer because of a recent decision, but this has been a growing phenomenon lately to make the companies bow down to the demands of this collective group. Although this is one way of making themselves heard, review bombing sometimes affects games that might have been really good when they were launched and the new score will affect buying decisions for fresh gamers checking out the titles. In this case, review bombers targeted all the older Borderlands games on Steam. As reported by Gamespot, following the controversy, Gearbox CEO Randy Pitchford said on Twitter that he was happy about 2K’s decision and that he wants to “reconsider Gearbox Publishing’s current posture on the platform [Steam]”. This means that 2K and Gearbox might be growing sceptical about Steam considering the same thing could happen to future games launched on the platform. These review bombing protests have been happening for quite some time and Steam hadn’t really implemented tools to fight them. Steam had announced the ‘off-topic review’ marking last year but it took more than a year to enable the feature. Borderlands 2 is now the first game to be using this feature to exclude an “abnormal set of reviews” being posted at a certain time period. Steam won’t be removing the reviews but only flagging them. After Borderlands 2, the original Borderlands game and Borderlands: The Pre-Sequel will also be making use of the new feature.